HD = High Definition. HD formats start at 1280×720, Known as 720P. Today’s video surveillance industry, we have analog high definition and digital high definition. Current HD resolution formats include 1.0 megapixel (720p), 1.3 megapixel, 2 megapixel (1080p), 3 megapixel, 5 megapixel, 8 megapixel (4K HD), and 12 megapixel (4K Ultra HD). First, compared with standard definition, HD increases the size of the image, while improving the image quality through many different image enhance technologies such as progressive scanning, such as DNR (digital noise reduction), WDR (wide dynamic range), etc. HD offers superior image quality. 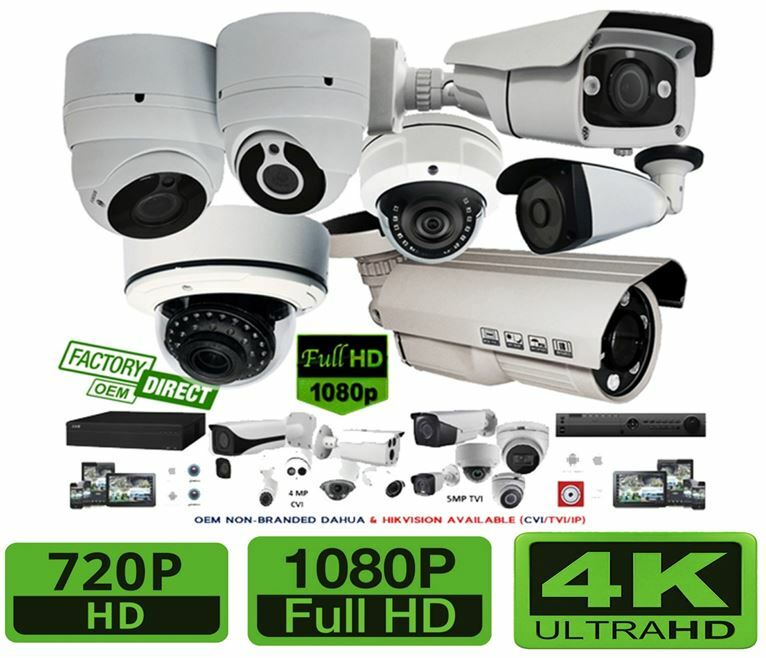 HD cameras can monitor a wider area than conventional CCTV camera. For example, a 12 megapixel panoramic camera can come in a fisheye lens giving you 360 degree panoramic view. Equipped with a 12 megapixel image sensor and ePTZ (virtual pan/tilt/zoom), as well as split views, it can replace several conventional security cameras; greatly reducing the installation cost and maintenance fee. HD-CVI is a solution for megapixel high definition applications, featuring non-latent long-distance transmission at a lower cost. The name has to do with its base band and quadrature amplitude modulation technology, which is able to avoid CVBS cross talk, completely separate brightness and hue signal, and further enhances video quality. 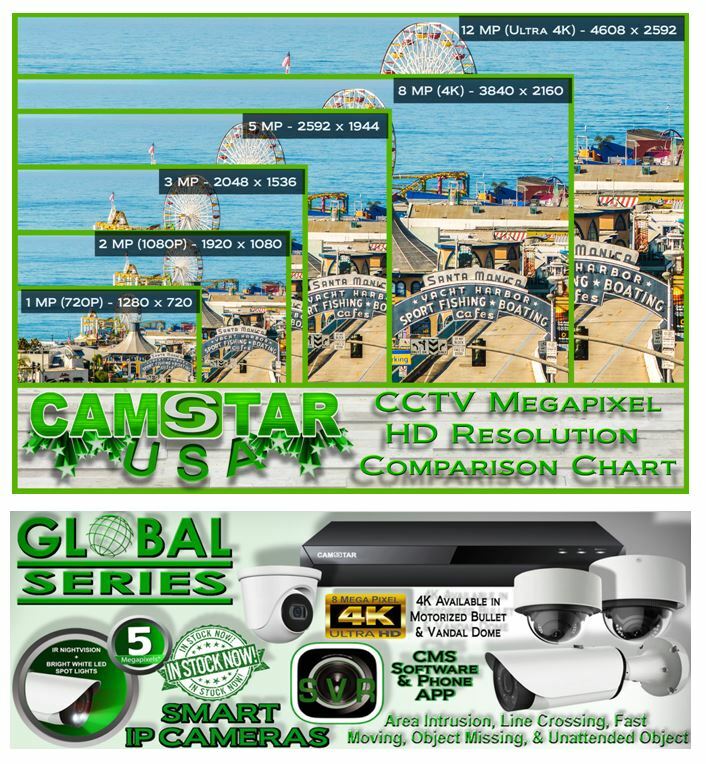 Camstar New High Definition IP Camera, HD-SDI Camera and CVI Security Cameras will be in Stock June 2014. We will also be carrying Dahua CVI DVR’s to integrate with our 720P CVI Security Cameras. Our Latest IP Cameras will come in either a 1.3MP or 2MP Resolution as well as ONVIF 2.4 to integrate with most of the major NVR’s out on the Market such as, NUUO, Dahua, Hikvision and Geovision. Our HD-SDI Cameras will come with a Panasonic CMOS that delivers a 2MP Resolution through a 2.8-12mm VF Lens. Even though June is right around the corner and you cannot wait this long, we suggest you Call or Email us directly to place a order through our Factory. This will give you the benefit of having your own Part Number and Logo on the Camera of your choice. All orders are placed directly through our US Office to ensure that you get what you ask for. All of our Cameras come with a 2 Year Warranty regardless if it is purchased in the US or from our Factory Overseas..
Camstar USA has released the New Sony EFFIO-V DSP to the CCTV Industry last month and the feedback has been great. With the new Wide Dynamic Range (WDR) update Sony has implemented in their product, Installers feel more confident supplying their clients the very best DSP Sony has to offer. Below is Specification Sheet of both the Sony EFFIO-E and EFFIO-V functions. Our New Effio-V Cameras are now available to ship from our US Office. Take a glimpse at the latest model’s Here! The Effio-V DSP is a revised high resolution signal processor that delivers over 700 TV Line of Resolution. Super WDR, Scene Selection, Defog and 3DNR are all Accessible in the OSD Menu of the Camera. CONNECT WITH US AND GET THE LATEST PRODUCT ANNOUNCEMENTS!